The roof of your property protects the interior of your home from adverse weather, water incursion, and the elements. As such, it is absolutely vital to your family's comfort and security. 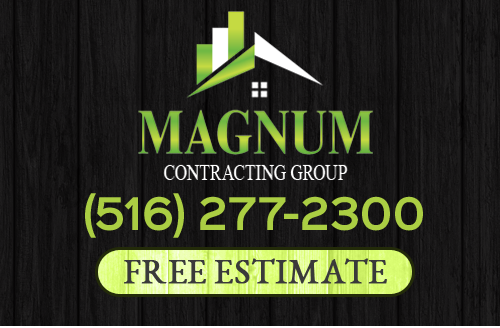 At Magnum Contracting Group, our Long Island roofing contractors are here to ensure that your roof is always kept in the best condition possible. But knowing when to hire a professional roofer to conduct roof repairs in Long Island can be difficult. For this reason, our experts have provided the following guide to help you and other Long Island homeowners. If you notice any of the following problems, contact our roof repair experts today. When people think about roof damage, they often only consider the results of severe weather. However, long term exposure to the elements if far more likely to be the cause of a roof leak. One way you can tell that your roofing system is old and in need of repairs is to inspect the shingle granules. If they are missing and have collected in your gutters, it may be time to repair or even replace your roofing system. Another common sign that your shingles are older and in need of repair is if they are curling. In order to properly keep water out of your home, your shingles must lay flat and have the proper pitch so that water will slide off the surface of your roof into your gutters. 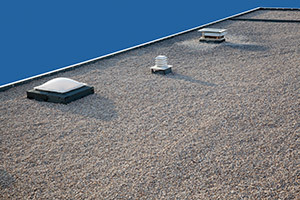 Vents, pipes, chimneys and other fixtures that push through the surface of your roof are made water tight via flashing. After years of exposure to the elements, even the most properly installed flashing can begin to fail. If you notice that your flashing is damaged, it is vital for you to contact a Long Island roof repair contractor for help. Buckling shingles are very problematic sign. This indicates that water is already collecting beneath the surface of your roof. You need to act quickly in order to minimize the extent of the damage. Our Long Island roofing contractors can help you in this regard. The most tell tale sign that your roof may be leaking is when you notice water spots on the ceiling of your rooms. In this instance, our Long Island roofing contractors can inspect your roof to find and repair the leak quickly for you. After our repair services, your roof will once again provide your property with the highest level of protection. If you need a Long Island roof repairs expert then please call 516-277-2300 or complete our online request form.